Yesterday marked the beginning of Lent with Ash Wednesday. For us Catholics this means no meat on this day and no eating between meals. As I made my grocery list this past Sunday and planned out our meals for the week, I knew this was going to make Crock Pot Wednesday a bit of a challenge. Knowing that we had received a lot of snow and wind (like we always do when Mike goes south), I knew he would be spending his day back catching up at work and plowing our long lane which had filled in quite quickly with piles of hard, frozen snow. I wanted to make something healthy but that would also warm both of us up from the arctic temperatures we’ve been experiencing (although it did get into the teens yesterday, which felt like a heat wave 😉 ). Usually, by the time March comes I am well past wanting to make soups in the crock pot…but this year is a whole different story. My favorite soups are creamy, rich soups that are full of color and flavor. 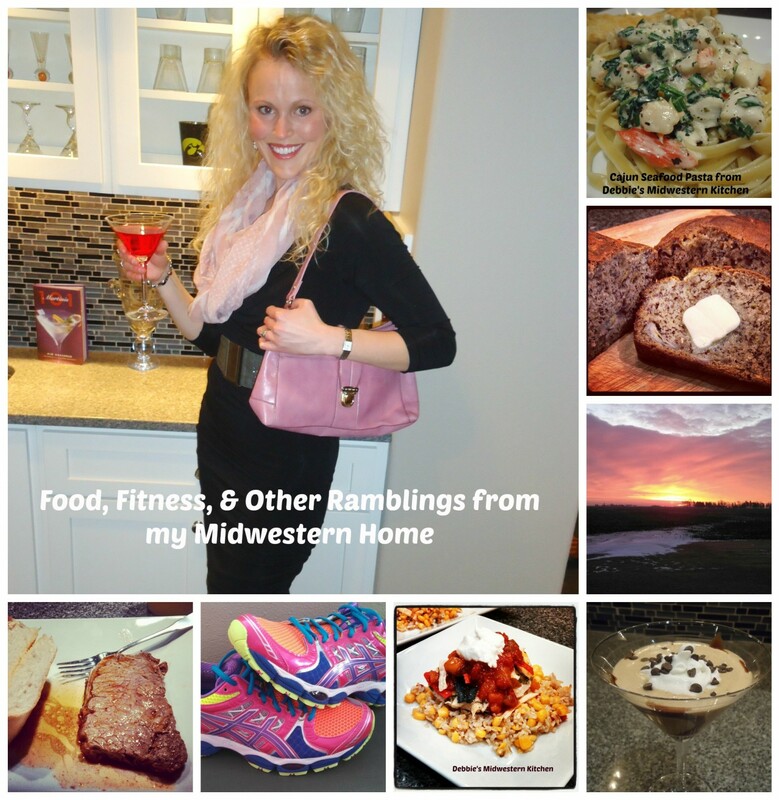 I’ve often made baked potato soup, Mexican-inspired soups, and even a few corn chowder soups. A nice, hearty chowder began to stick in my mind. 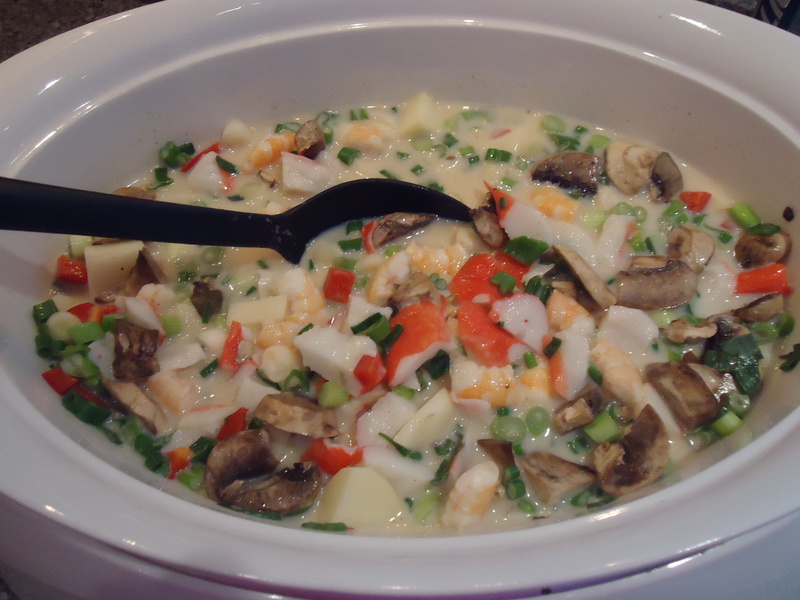 Mike and I both LOVE crab and shrimp so I thought, why not give a lightened-up version of crab and shrimp chowder a try. As I made this soup, I was taken by the beautiful colors of all the ingredients. I knew this was going to be good. Within 30 minutes our house was engulfed with a delicious aroma that both Mike and I couldn’t wait to dig into. Of course, we had to leave to go to our indoor golf league before we could indulge, and since we were both unable to snack because of it being Ash Wednesday, our stomachs were already rumbling and we spent most of our golf league dreaming about what we were about to dig into when we arrived home. Golf was even better because T.J. went along with us. We take him a few times each season, and he does such a great job. He practiced his putting on the putting green, made choo-choos out of golf tees (he’s a little obsessed with trains), and cheered Mama and Daddy on. After a fun night of golf we walked into a home filled with the aroma of an abundance of flavors slow cooking together all evening. Lightened -up Crab & Shrimp Chowder was everything I’d dreamed it would be. It warmed us up on another cold evening, combined the perfect flavors, and filled both of our hungry bellies. Hope you enjoy it as much as we did! **Optional Topping – You could garnish this soup with parsley which would taste great and look beautiful. Mike isn’t a big herb fan 😦 so I often have to skip this. It would give it a great presentation. 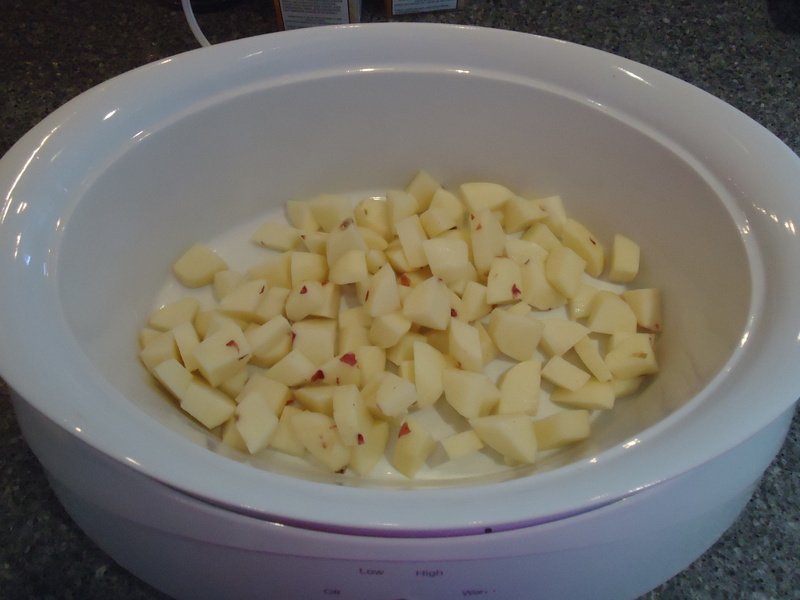 Peel and cube potatoes and place in crock pot. I think peeling the red potatoes is kind of a pain, so if you want to leave the skin on, that’s fine. Some people don’t like the skin so I tend to always take it off for my soups. 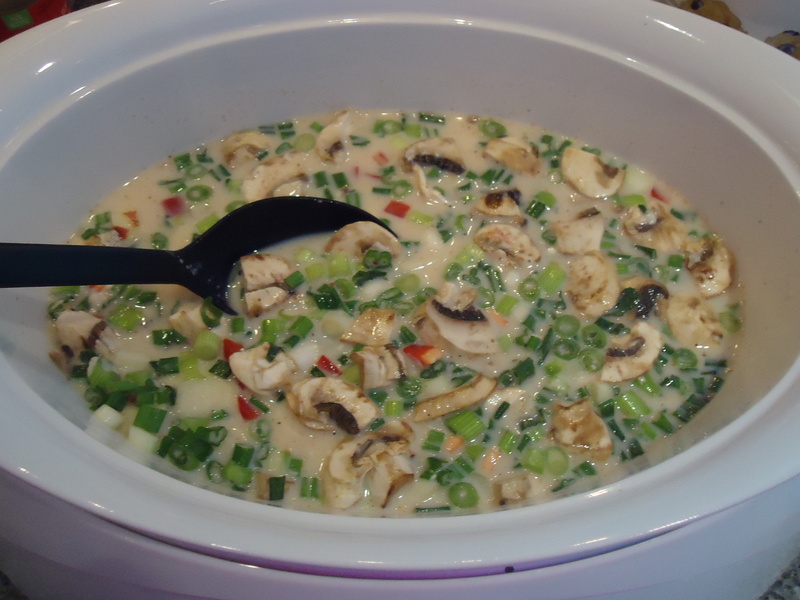 Add mushrooms, onion, bell pepper, chicken broth, milk, evaporated milk, flour, paprika, Worcestershire sauce, cayenne pepper, and black pepper. Stir to combine. Serve and enjoy! The great thing about this soup is that it is filled with so many flavors, that we had no reason to add any other toppings to it. Hope you enjoy this as much as we did! I hope you like it as much as we did! Its even better warmed up the next day if you have leftover!